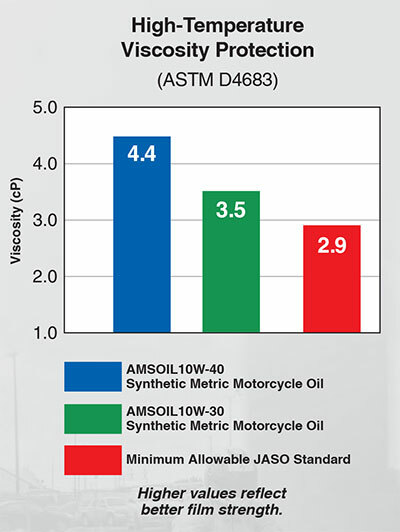 AMSOIL Synthetic Metric Motorcycle Oil 10W-40 is designed for metric bike owners who demand the absolute best lubrication for their motorcycles. Whether riding aggressively, cruising or in stop-and-go traffic, AMSOIL Synthetic Metric Motorcycle Oil delivers the benefits most important to riders, including premium wear protection; smooth, confident shifts and cool, clean performance. With AMSOIL Synthetic Metric Motorcycle Oil, riders enjoy the confidence and security that comes with providing their bikes maximum protection and performance. It is Warranty Secure™ and will not void your motorcycle’s warranty. Welcome to the Omaha AMSOIL Depot! All your favorite AMSOIL products under one roof. Motorcycles are prone to rust from storage, humidity and short drives. Rust can cause major damage, such as uncontrolled wear, compression loss and blow-by. Good rust protection, however, comes by design and is not natural to motor oils. Unlike many motorcycle oils, AMSOIL Synthetic Metric Motorcycle Oil 10W-40 contains special anti-rust agents that deliver superior rust protection. With its high 11.1 total base number (TBN), AMSOIL Synthetic Metric Motorcycle Oil provides greater protection from acid corrosion and helps maintain internal engine cleanliness. Replaces 5W-40, 15W-40 and 20W-40 as well. Recommended for use up to twice the motorcycle manufacturer-recommended change interval (miles/hours) or one year, whichever comes first, in engines and transmissions. When using an oil filter other than AMSOIL Ea® Motorcycle Oil Filter, change the filter at standard intervals. Racing or modified engines are excluded from extended drain interval recommendations; oil changes are at the owner’s discretion. AMSOIL Synthetic Metric Motorcycle Oil is Warranty Secure, keeping your factory warranty intact. 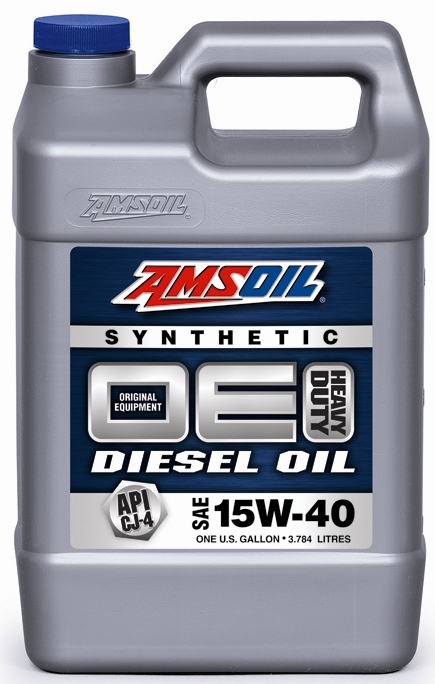 It is a high-performance replacement for vehicle manufacturer-branded products and is also backed by the AMSOIL Limited Warranty (G1363). 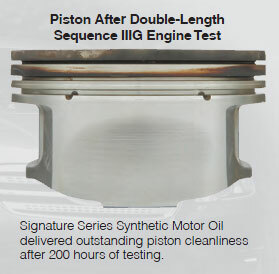 For details, visit AMSOIL Warranty Information. 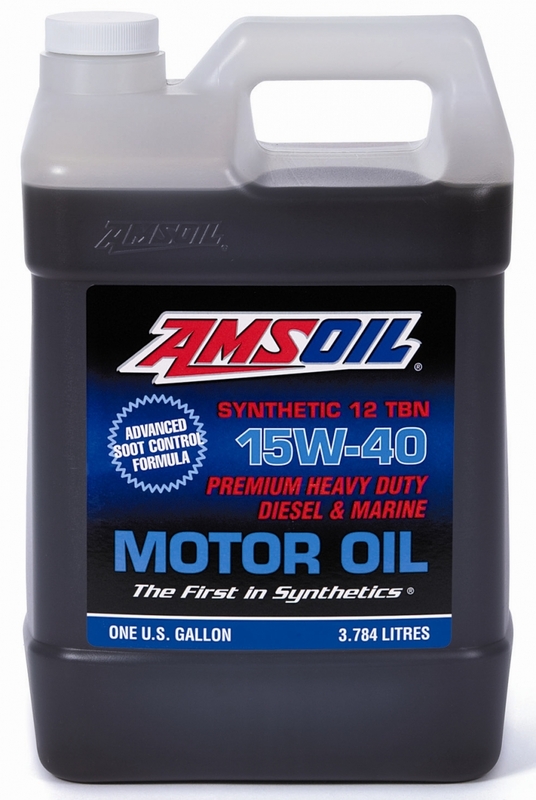 I’ve been using Amsoil 10W-40 motorcycle oil in my street bikes for over 15 years. I had a CBR600 with 95000km that used Amsoil from the first oil change. That bike had a spirited life with lots of commuting and many high paced track days. At that high odometer it had great dyno numbers, didn’t burn any oil, and had never had any engine problems. When I was replacing my clutch at about 85000km I inspected some engine internals and it was amazing how clean a free of wear everything was. When racing, I’m always on the throttle and make very hard downshifts (probably worse than I should). I have yet to see this oil deteriorate on me, even when stressing a motor very hard. I couldn’t be happier with its performance so far this race season.